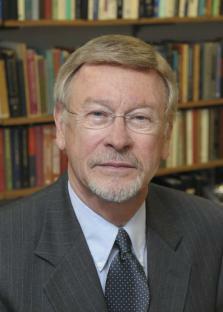 My research is aimed at the development of a quantitative, mechanistic theory of associative learning. The several models that have come from our laboratory (e.g., the so-called Rescorla-Wagner Model, SOP and AESOP) are primarily based upon behavioral data from well-characterized animal learning situations, including habituation, classical conditioning and instrumental learning, and are most germane to such circumstances. However, they are also intended to be in contact with available neurobiological data from various model systems (especially eyeblink conditioning in the rabbit) that are currently being exploited in investigation of the architectural and cellular basis of learning and memory. 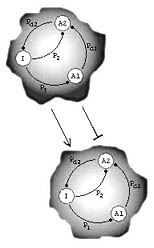 The neural-network form of the models has favored the incorporation of certain of their tenants into “connectionist” treatments of more complex human cognition.A major focus of our recent research has been on the contextual control of associative learning, as seen in conditional discriminations and “occasion setting.” A resulting theoretical product has been a “replaced-elements” conception (REM) of how stimuli are differentially represented in different contexts. Much of our current research is devoted to evaluating the applicability of our associative models to human contingency learning, particularly as involved in the formation of causal judgments.